Here is the link to my mini denim Christmas stocking tutorial. It is very simple to cut two pieces of denim from old jeans and stitch them together. Once that is done, you just add 3-4 rows of crocheted trim to the top of the folded-over denim stocking. 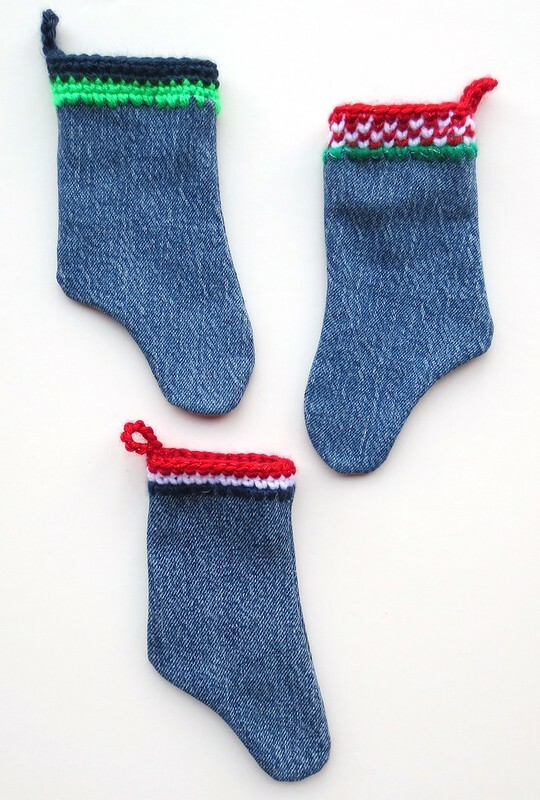 Add a hanging loop and you have a cute recycled denim Christmas stocking. Hello… Great idea!! Thanks for sharing. keep it up.. It is a good idea.Thanks for your sharing very much.